What about those Three Blind Mice, do you still remember them? Leslie Clarke makes music by only clicking his fingers. 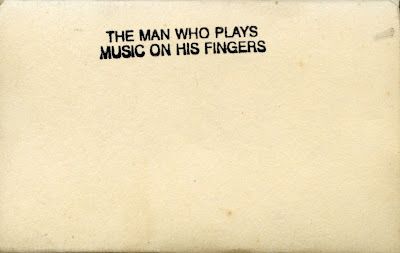 He would play his fingers and sell tapes around Melbourne for a dollar or two and give the money to charity. I bought a tape some years ago and recently stumbled across it in my studio. I found a tape deck and digitised the music while listening to it. It's an interesting listen. The tonal range Leslie achieves is incredible and the tunes are easily identifiable. Each track is introduced by Leslie and he opens the tape by introducing himself and explaining his technique. Each song isn't titled explicitly but alluded to like it's a shared story Leslie and the listener have heard with Leslie asking questions about each song and their subjects, often asking the listener if they remember them. The tape itself is perfectly white and unlabeled. 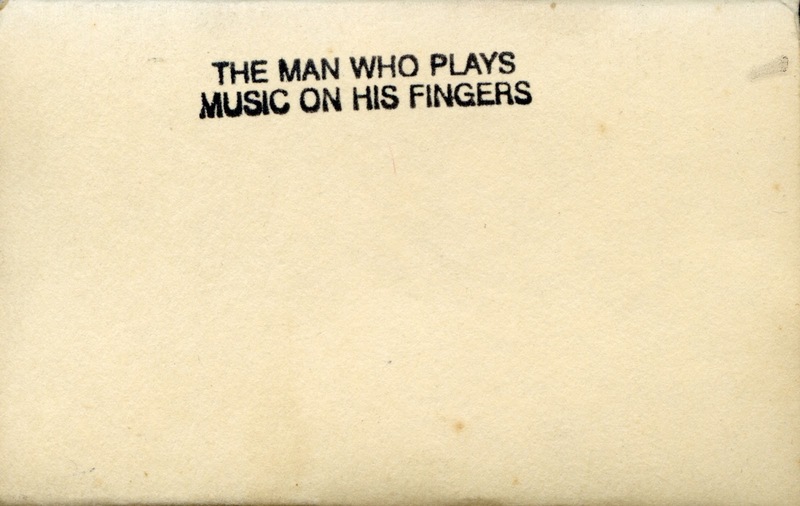 It is housed in a piece of paper folded around the tape with a stamped title on it (above). No artist credit is present. I love the lyric 'Kingdoms may come, kingdoms may go, whatever the end may be. Old Father Thames keeps rolling along, down to the mighty sea.' Nature as perpetual and anthropomorphised. The only stuff I could find on the web about Leslie was this site from 2006. I emailed the contact listed but haven't received a reply. If anyone finding this has any info on Leslie, please let me know via a comment!